Four bandits, each armed with a gun, broke into a home at Number 43 Village, Corentyne, Berbice in the wee hours of yesterday and terrorized the family before making off with $1.1 million, US$4,000, SRD$13,000, approximately $1.5 million in jewellery, two iPhones worth $240,000, one Samsung Galaxy worth $85,000 and one laptop worth $55,000. Three persons have since been arrested. Speaking to Stabroek News, Sattie Etwaru, 37, related that the ordeal, which began at 2.02 am yesterday lasted for 25 minutes. She said they heard when the bandits were attempting to enter the house as they were hitting one of the front windows with a piece of wood. The window broke and three men entered, she recalled, while one remained on the road. According Etwaru, the men started to hit her and she pleaded with them not to hurt anyone, saying she would give them everything. She said that while the men were breaking the window her children ran into the backroom with her and they started to raise an alarm. 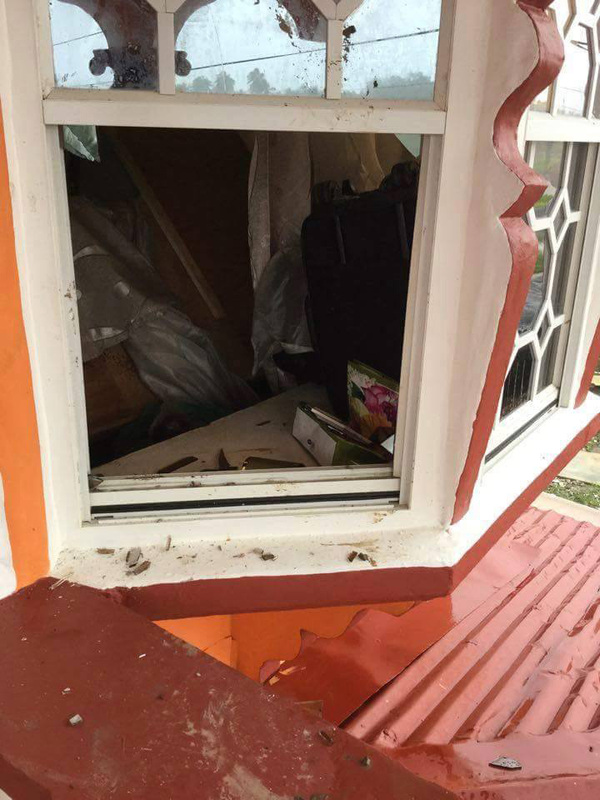 Her mother-in-law, who resides in the house next door, opened her side window to see what was going on, but the bandits fired shots at her house and ordered her to close the window. The mother-in-law said neighbours were awakened by this time, but they were afraid to come out. 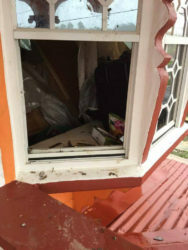 Etwaru, who was at home with her three daughters aged 17, 14, and six months old; her 14-year-old adopted son and her 64-year-old father-in-law, explained that after the men entered the house, they took the same piece of wood they used to break the window and broke the room door to enter. “Dem come in and say dem come for all de money abbi get and jewellery,” she said. After ransacking the room and taking everything Etwaru gave them, the three bandits left. But after speaking with the bandit standing guard on the road, she said, they returned asking for more money and jewellery. 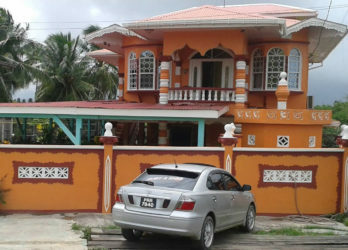 She said her father-in-law was injured after one of the bandits took a rum bottle and hit him on the head. Her son was also hit on his head and Etwaru sustained injuries to her arms. The men also escaped with Etwaru’s identification card and driver’s licence. Neighbours said they telephoned the Number 51 Police Station while the men were breaking the window to enter the house, as well as when they were in the house. However, the police arrived ten minutes after the bandits left. Etwaru’s husband, Nakool Manohar, who was away on business at the time of the attack, stated that as a fisherman and a businessman, he has applied for a licence for a firearm many times in the past, but his applications were not approved. The family is now fearful to go on with their lives. Meanwhile, according to Commander of ‘B’ Division Ian Amsterdam three persons have been arrested. 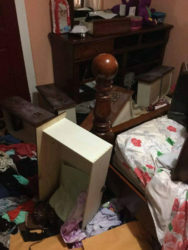 He stated that the victims had cameras on their house and although the bandits were masked, the police are working on identifying them, as the investigation continues.